Modern features and amenities are critical to your competitive edge. Tenants are searching for spaces where their workforce can operate at peak performance, with access to the tools and technologies which facilitate growth. As you assess your options, make sure you look for properties that understand this need. Building features and amenities can make a huge difference in the technology and culture of your business. Fortunately, it's easy and straightforward to find a modernized commercial building, and many of the updates below can still be within your price range. WiFi often takes the number one spot on lists of the most popular amenities, and it deserves the attention. In an increasingly digital landscape, access to a fast, reliable internet connection is indispensable for communication, information exchange and other areas of business. If the connectivity in your commercial building needs improvement, you should set aside time to address the issue and request an upgrade. An employee can't maintain the same level of productivity without taking breaks now and then. A lounge area allows these employees to leave their workstation for a few brief moments and decompress from the stress and pressures of their day-to-day responsibilities. The space should feel open and inviting, with comfortable seating and enough square footage to host social mixers and other events. The design of your commercial space matters, but it’s not always easy for the property owner to revamp. Fortunately, a few cosmetic touches can tell you whether the property has kept up with modern design principles. Make sure you ask about the age of the flooring, check for natural light and gauge how flexible the building layout appears to be. As the country continues its transition toward sustainability, more people are adopting hybrid and fully-electric vehicles. When you account for this trend with charge ports, you're embracing modern solutions while appeasing environmentalists. You're also creating another small, but significant stream of revenue, all through dedicating several spaces to plug-in vehicles — a smart trade-off given the value. Building on the previous point, sustainability is increasingly important to tenants searching for commercial properties. You should prioritize buildings with energy-efficient upgrades, little features which help lessen their impact and lower their energy costs. The installation of new windows with low-emissivity coating or glazing is an excellent place to start, reducing energy loss for long-term savings. Conceptually similar to lounge areas, rooftop decks provide a place where employees can rest and relax in the middle of the day. Modern offices embrace outdoor options, whether you invest in something as simple as a low-cost patio or something more involved like a cafe with staff. Whatever you choose, you can feel confident that your new office is perfect for your employees if it takes advantage of all its available space. Many office buildings have meeting rooms which can accommodate an average group. While this is adequate, you'll expand your office’s flexibility if you look for conference facilities, larger areas which won't feel crowded when holding a greater number of people. Conference facilities with adjustable room sizes are one of the top office building amenities which will appeal to tenants who employ more workers than small to mid-sized businesses. While the costs of exercise equipment and renovations are admittedly steep, prioritizing a fitness center in your commercial property search is well worth the investment. Many employees hold gym memberships outside of the office, so having an opportunity to jog on a treadmill or lift weights for fifteen minutes will improve employee satisfaction by a considerable margin. If you're working with a larger budget, you should review your options. When employees arrive at their workplace in the morning, they want to start their day on the right foot. An unreliable, cumbersome or slow turnstile is an inconvenience which places them in a negative headspace. If your business employs turnstiles, you should make sure these touch points are quick and easy to use, not only for the employees and yourself, but for the clients you’ll invite to the office. You'll want to keep your commercial property equipped with standard safety measures such as security cameras, gates and similar devices. While these precautions are sufficient, you can always go above and beyond what other tenants have done and ask to install additional systems to protect your business and its occupants. Modern features and amenities are critical to your competitive edge, and you have no shortage of options. 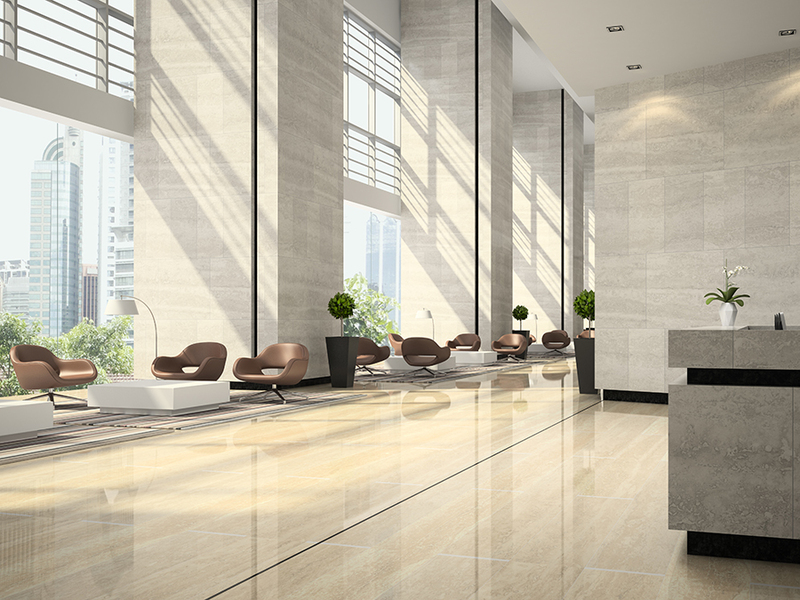 Whether you look for energy-efficient upgrades, eye-catching design or improved WiFi, you'll be confident that your new commercial space is modern and appealing. With this in mind, consider some of the suggestions above and start adjusting your search today.